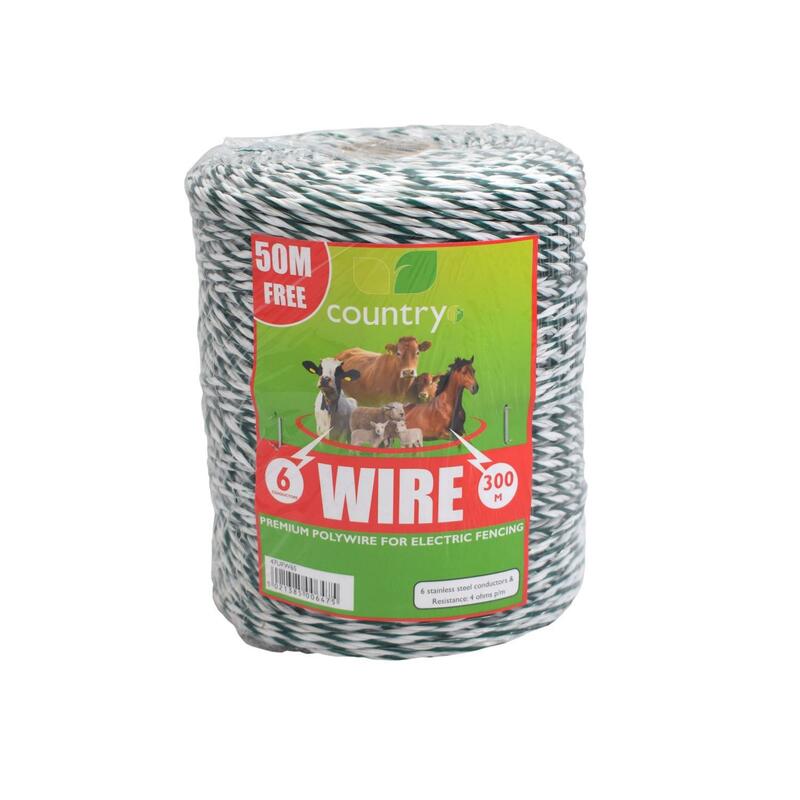 This Country Supercharge electric fence poly wire is a high quality poly rope with 6 stainless steel conductors in a 250 metre roll + 50M free. This electric fencing poly rope is suitable for use with most livestock. Country are a market leading manufacturer and supplier of products and equipment for the agricultural industry and have proven to be a popular choice amongst farmers and other agricultural professionals throughout Ireland and the UK.